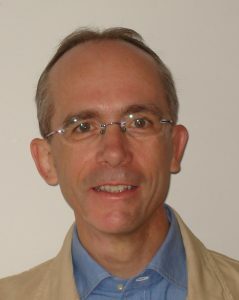 Lionel C. Briand is professor in software verification and validation at the SnT centre for Security, Reliability, and Trust, University of Luxembourg, where he is also the vice-director of the centre. He is currently running multiple collaborative research projects with companies in the automotive, satellite, financial, and legal domains. Lionel was elevated to the grade of IEEE Fellow in 2010 for his work on the software testing. He was granted the IEEE Computer Society Harlan Mills award and the IEEE Reliability Society engineer-of-the-year award for his work on model-based verification and testing, respectively in 2012 and 2013. He received an ERC Advanced grant in 2016 — on the topic of modelling and testing cyber-physical systems — which is the most prestigious individual research grant in the European Union. Jin L.C. Guo is an Assistant Professor at McGill University. She received her PhD from the University of Notre Dame. She is interested in utilizing Artificial Intelligence (AI) techniques especially Natural Language Processing (NLP) techniques to solve Software Engineering (SE) problems. 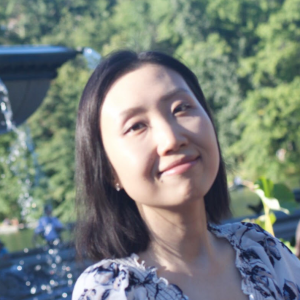 Her recent research focuses on mining domain knowledge from heterogeneous software engineering data and utilizing such knowledge to facilitate automated tasks such as trace link retrieval and project Q&A. She is a steering committee member for the International Workshop on Artificial Intelligence for Requirements Engineering (AIRE). Andrian Marcus is a Professor in the Department of Computer Science at The University of Texas at Dallas. Between 2003-2014 he was a faculty member in the Department of Computer Science at Wayne State University (Detroit, MI). He obtained his Ph.D. in Computer Science from Kent State University, with Jonathan Maletic as his advisor. He has prior degrees from The University of Memphis (Memphis, TN) and Babes-Bolyai University (Cluj-Napoca, Romania). His current research interests are in software engineering, with focus on program comprehension and software evolution. He is best known for his work on using text retrieval and analysis techniques on software corpora for supporting comprehension during software evolution. He received several Best Paper Awards and Most Influential Paper Awards, and the NSF CAREER award. He is also a former junior Fulbright Scholar (1997-98). He served on the Steering Committee of the IEEE International Conference on Software Maintenance and Evolution (ICSME) between 2005-2008 and 2011-2014, and on the Steering Committee IEEE Working Conference on Software Visualization (VISSOFT), between 2005-2009. He was the General Chair and the Program Co-chair of ICSME in 2011 and 2010, respectively. He currently serves on the editorial board of the IEEE Transactions on Software Engineering, the Empirical Software Engineering Journal (Springer), and the Journal of Software: Evolution and Process (John Wiley and Sons). 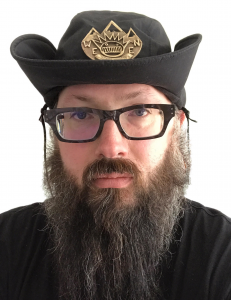 Tim Menzies (Ph.D., UNSW, 1995) is a full Professor in CS at North Carolina State University where he teaches software engineering, automated software engineering, and foundations of software science. He is the directory of the RAISE lab (real world AI for SE). that explores SE, data mining, AI, search-based SE, and open access science. He is the author of over 250 referred publications and editor of three recent books summarized the state of the art in software analytics. In his career, he has been a lead researcher on projects for NSF, NIJ, DoD, NASA, USDA, as well as joint research work with private companies. For 2002 to 2004, he was the software engineering research chair at NASA’s software Independent Verification and Validation Facility. 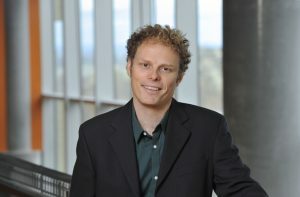 Prof. Menzies is the co-founder of the PROMISE conference series devoted to reproducible experiments in software engineering (http://tiny.cc/seacraft). He is an associate editor of IEEE Transactions on Software Engineering, ACM Transactions on Software Engineering Methodologies, Empirical Software Engineering, the Automated Software Engineering Journal the Big Data Journal, Information Software Technology, IEEE Software, and the Software Quality Journal. In 2015, he served as co-chair for the ICSE’15 NIER track. In 2016, he serves as co-general chair of ICMSE’16. 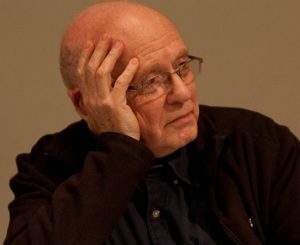 For more, see his vita (http://goo.gl/8eNhYM) or his list of publications https://goo.gl/qNQAIq) or his home page http://menzies.us. 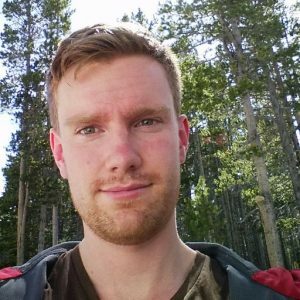 Bart van Merriënboer is a research engineer with Google Brain in Montreal and PhD student at MILA (the Montreal Institute for Learning Algorithms) under the supervision of Yoshua Bengio. His work focuses on deep learning and the development of machine learning tools and frameworks. Leandro L. Minku is a Lecturer in Computer Science at the Department of Informatics, University of Leicester (UK). Prior to that, he was a research fellow at the University of Birmingham (UK). He received the PhD degree in Computer Science from the University of Birmingham (UK) in 2010. During his PhD, he was the recipient of the Overseas Research Students Award (ORSAS) from the British government and was invited to a 6-month internship at Google. Dr. Minku’s main research interests are machine learning for software engineering, search-based software engineering, machine learning for non-stationary environments / data stream mining, and ensembles of learning machines. His work has been published in internationally renowned journals such as IEEE Transactions on Software Engineering, ACM Transactions on Software Engineering and Methodology, IEEE Transactions on Knowledge and Data Engineering, and IEEE Transactions on Neural Networks and Learning Systems. Among other roles, Dr. Minku is a steering committee member for the International Conference on Predictive Models and Data Analytics in Software Engineering (PROMISE), an associate editor for the Journal of Systems and Software, a conference correspondent for IEEE Software, and was the co-chair for the challenge track of the Symposium on Search-Based Software Engineering (SSBSE’2015-2016). Chris Pal is an associate professor in the department of computer and software engineering at the École Polytechnique of Montreal. 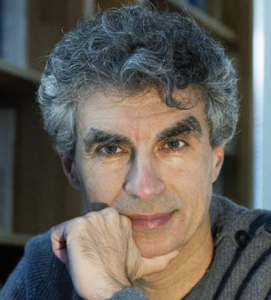 Prior to arriving in Montreal, he was a professor in the department of Computer Science at the University of Rochester. He has been a research scientist with the University of Massachusetts and has also been affiliated with the Interactive Visual Media Group and the Machine Learning and Applied Statistics groups at Microsoft Research. His research at Microsoft lead to three patents on image processing, computer vision and interactive multimedia. He earned his M. Math and PhD from the University of Waterloo in Canada. During his masters research he developed methods for automated cartography and the analysis of high resolution digital aerial photography. He was also involved with a number of software engineering projects developing spatial databases for managing environmental information. His PhD research led to contributions applying probability models and optimization techniques to image, video and signal processing. During his PhD studies Chris was also a research assistant at the University of Toronto in the Department of Electrical and Computer Engineering. At Toronto he collaborated closely with the Banting and Best Department of Medical Research. He preformed research on image processing and statistical methods for the analysis of large scale genomics and computational molecular biology experiments using DNA microarrays. Prior to his graduate studies Chris was with the multimedia research company Interval in Palo Alto, CA (Silicon Valley). As a result of his research at Interval he was awarded a patent on audio signal processing. David Lorge Parnas has been studying industrial software development since 1969. Many of his papers have been found to have lasting value. For example, a paper written 25 years ago, based on a study of avionics software, was recently awarded a SIGSOFT IMPACT award. Parnas has won more than 20 awards for his contributions. In 2007, Parnas was proud to share the IEEE Computer Societyʼs one-time sixtieth anniversary award with computer pioneer Professor Maurice Wilkes of Cambridge University. Parnas received his B.S., M.S. and Ph.D. in Electrical Engineering from Carnegie Mellon University. and honorary doctorates from the ETH in Zurich (Switzerland), the Catholic University of Louvain (Belgium), the University of Italian Switzerland (Lugano), and the Technische Universität Wien (Austria). He is licensed as a Professional Engineer in Ontario. Parnas is a Fellow of the Royal Society of Canada (RSC), the Association for Computing Machinery (ACM), the Canadian Academy of Engineering (CAE), the Gesellschaft für Informatik (GI) in Germany and the IEEE. He is a Member of the Royal Irish Academy. Parnas is the author of more than 275 papers and reports. Many have been repeatedly republished and are considered classics. A collection of his papers can be found in: Hoffman, D.M., Weiss, D.M. (eds. ), “Software Fundamentals: Collected Papers by David L. Parnas”, Addison-Wesley, 2001, 664 pgs., ISBN 0-201-70369-6,. Massimiliano Di Penta is associate professor at the University of Sannio, Italy since December 2011. Before that, he was assistant professor in the same University since De- cember 2004. His research interests include software maintenance and evolution, mining software repositories, empirical software engineering, search-based software engineering, and service-centric software engineering. 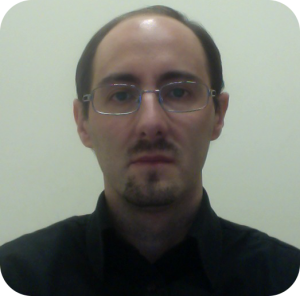 He is currently involved as principal investigator for the University of Sannio in a European Project about code search and licensing issues (MARKOS – www.markosproject.eu). Previously, he was principal investigator in other national and European projects on topics related to software evolution and service-centric soft- ware engineering. He is author of over 190 papers appeared in international journals, conferences and workshops. He serves and has served in the organizing and program committees of over 100 conferences such as ICSE, FSE, ASE, ICSM, ICPC, GECCO, MSR WCRE, and others. He has been general co-chair of various events, including the 10th IEEE Working Conference on Source Code Analysis and Manipulation (SCAM 2010), the 2nd International Symposium on Search-Based Software Engineering (SSBSE 2010), and the 15th Working Conference on Reverse Engineering (WCRE 2008). Also, he has been program chair of events such as the 28th IEEE International Conference on Software Maintenance (ICSM 2012), the 21st IEEE International Conference on Program Comprehension (ICPC 2013), the 9th and 10th Working Conference on Mining Software Repository (MSR 2013 and 2012), the 13th and 14th Working Conference on Reverse Engineering (WCRE 2006 and 2007), the 1st International Symposium on Search-Based Software Engineering (SSBSE 2009), and other workshops. He is currently member of the steering committee of ICSME, MSR, SSBSE, and PROMISE. Previously, he has been steering committee member of other conferences, including ICPC, SCAM, and WCRE. He is in the editorial board of IEEE Transactions on Software Engineering, the Empirical Software Engineering Journal edited by Springer, and of the Journal of Software: Evolution and Processes edited by Wiley. Alessandro Petroni is Head of Strategy and Solutions for FinServ & FinTech at Red Hat. He leads the business and technology strategy to accelerate the adoption of Red Hat open source technologies in the FinServ industry working with customers, ISV and system integrator partners. 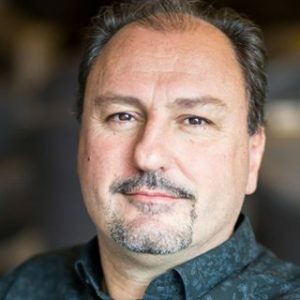 In his role, Alessandro leads Red Hat in assisting banks in the go-to-cloud journey, adopting DevOps, influencing Red Hat R&D to focus on FSI-specific line of business’ requirements and developing solutions. 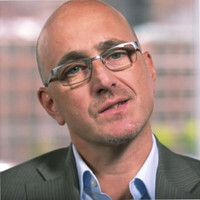 Prior to Red Hat, Alessandro’s tenure includes more than sixteen years of experience serving top financial services in various leading roles in engineering, operations, software development, solution consulting, and as IT director, implementing mission critical distributed solutions for capital markets and retail banking, and managing large international teams. Alessandro graduated in Master Computer Engineering and Business Administration at the University of Trento, Italy, and lives in New York. 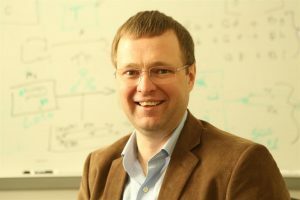 Denys Poshyvanyk is an Associate Professor and a Graduate Director in the Computer Science Department at William and Mary (see W&M by numbers) where he leads SEMERU research group. He received his Ph.D. from Wayne State University, where he was advised by Dr. Andrian Marcus. His current research is in the area of software engineering, evolution and maintenance, program comprehension, mobile app (Android) development, maintenance and testing, reverse engineering, repository mining, source code analysis, traceability, performance testing, reuse. His papers received several Best Paper Awards at ICPC’06, ICPC’07, ICSM’10, SCAM’10, ICSM’13 and ACM SIGSOFT Distinguished Paper Awards at ASE’13, ICSE’15, ESEC/FSE’15, ICPC’16 and ASE’17. He also received the Most Influential Paper Awards at ICSME’16 and ICPC’17. He is a recipient of the NSF CAREER award (2013). Currently, he serves on the steering committee of the IEEE International Conference on Software Maintenance and Evolution (ICSME). He also served as a PC Co-chair for ICSME’16, ICPC’13, WCRE’12, and WCRE’11. He currently serves on the editorial board of IEEE Transactions on Software Engineering (TSE), Empirical Software Engineering Journal (EMSE, Springer) and Journal of Software: Evolution and Process (JSEP, Wiley). 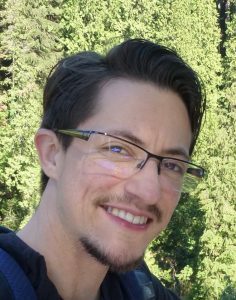 Jason Schlessman is a software engineer on the radanalytics.io team at Red Hat, with a focus on intelligent applications. Prior to joining Red Hat in 2017 Jason developed activity classifiers at scale as well as retention rate improvement via intelligent interventions. Paolo Tonella is head of the Software Engineering Research Unit at Fondazione Bruno Kessler (FBK), in Trento, Italy. He is also Honorary Professor at University College London (UCL). He received his PhD degree in Software Engineering from the University of Padova, in 1999, with the thesis “Code Analysis in Support to Software Maintenance”. In 2011 he was awarded the ICSE 2001 MIP (Most Influential Paper) award, for his paper: “Analysis and Testing of Web Applications”. He is the author of “Reverse Engineering of Object Oriented Code”, Springer, 2005, and of “Evolutionary Testing of Classes”, ISSTA 2004. Paolo Tonella was Program Chair of ICSM 2011 and ICPC 2007; General Chair of ISSTA 2010 and ICSM 2012. He is/was associate editor of TOSEM/TSE and he is in the editorial board of EMSE and JSEP. His current research interests include code analysis, web testing, search based test case generation and the test oracle problem.